"Stone Consulting has provided site design and environmental permitting for the Oil and Gas industry for many years. Currently, with the resurgence of drilling in the deep gas formations, Stone has been providing road, bridge, permitting and site design for our clients." 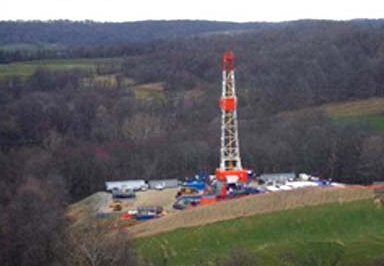 The Marcellus Shale formation has created increased activity in Pennsylvania. Stone Consulting, Inc. is capable of providing a wide range of services for oil and gas development. Our company is certified to work in the Commonwealth of Pennsylvania as well as being certified in 39 other states. Our company has a reputation of hearing customers' needs and finding cost-effective solutions. Rail design as an option for import materials and equipment to the site. Bridge inspections to assure that trucks and vehicles can access the site safely. Structural engineering for bridge and building design. Mining design and permits should marketable raw materials be found. Surveying - we are associated with Fox & Fox, Inc. who has full GPS capability. Plan & Profile drawings for 2 miles of access road to three well pads. Design included ditch and culvert design for storm water quality and quantity. Grading plan for three well pads – each well pad being approximately 3.5 acres in size. Plan for a 3.5 million gallon fresh water impoundment. Preparation of Erosion Control Plans and construction details for entire project. Preparation of Wetlands delineation plan. Preparation of Bridge Replacement Drawings & permits. Permit preparation and submission for NPDES, Erosion & Sedimentation Control, plus Expedited ESCGP-1.